A fermenting crock can be costly, one use items that meet a particular purpose but might sit in storage for long periods until needed again. 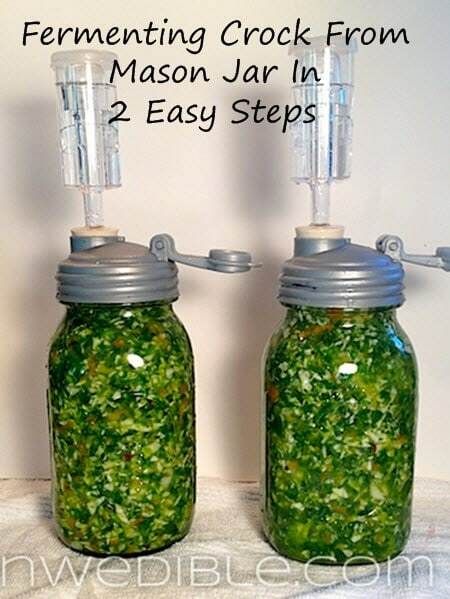 This innovative tutorial offers another suggestion… try adapting a mason jar to serve as a fermenting crock and get even more use out of your trusty mason jars. The process is relatively simple (just two steps in total) and involves purchasing a very small list of supplies as one of those steps (airlock, rubber bung, reCAP Mason Jar Cap, and a mason jar). The second step involves putting everything together and the tutorial offers some helpful photos to walk you through that process. It is a truly innovative and useful way to use a familiar item in a new and helpful way.